Fully handmade from natural botanical materials. 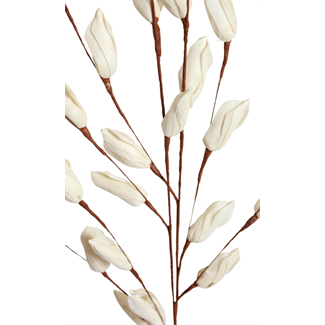 A perfect accent for bud vases or arrangements. Mix and match for do it yourself arrangements to add value and style to your fresh flowers and potted plants. 2 Stem Bunch. 36 in/90 cm tall.